It is getting harder and harder to get the same results out of our organic efforts. In a time where search engines reward context rather than keyword density, paid advertising results push organic search results down, and SERPs are helping searchers solve their problems more and more frequently with zero click searches, what is a marketer to do? Keyword research was once a relatively simple endeavor where we focused on long-tail keywords and just produced a lot of content -- it was less about the value of the content and more about the volume. As more and more websites have jumped on the inbound marketing train and started to produce content, the first page of search results has become a far more difficult badge to obtain and the information marketplace has become increasingly crowded. But that is exactly what makes doing keyword research and formulating a keyword strategy the right way so important. Instead of seeing the changes to organic search as a barrier, we should see them as an opportunity to create more value to our audience and be more thoughtful about the way we create content and look to connect with our audience. Keyword research is simply the first step in that process. Stacy received her undergraduate degree in Computer Science and Engineering from UCLA and holds a Master’s Degree in Business Administration with a focus on Marketing from San Diego State University. As a strategist at IMPACT, Stacy loves solving problems for clients and has significant experience working and interacting with customers. She is dedicated to providing a positive customer experience and building strong client relationships. Don’t Have Time to Read the Entire Guide Now? Click on any chapter to jump directly to it! Chapter 4 What Are Searchers Really Searching For? Final Thought You've Got This! Why Do We Need Keyword Research? Before we dive into what's changed in SEO (search engine optimization) and keyword research, we need to review why keyword research is so important for both driving traffic to our website and for creating highly useful content. No matter how many times Google’s algorithm changes or evolves, the goal of the search giant will always be the same -- to provide value for the searcher. With that in mind, it becomes much clearer why keyword research can be so useful for us. The primary goal of keyword research is to understand how the marketplace is looking for information. Understanding what your audience is looking for, how they are phrasing it, and what other information exists for them is key to determining how you can provide them the most value and that will always be what Google and every other search engine rewards. So, while our specific methods may change, the notion of having a keyword research strategy will never go away as part of our efforts to understand our audience and find ways to provide them value. Only once we view keyword research through this lens, we'll be able to see clearly how this activity subsequently drives traffic to our website. The key here is that the more value we can provide, the more Google will reward us with increased visibility, ultimately allowing us to drive more traffic. On our road to understanding how Google interprets websites and makes estimates about how much value they provide, comes the specific methods for which we should be undertaking our keyword research. Today, topic clusters reign supreme. The current iteration of Google’s algorithm looks to reward websites that show thought leadership on an entire topic area based on both the breadth and depth of the content provided on that topic. The easiest way for Google to approximate this is to look at content grouped on a website through bidirectional internal links containing similar or related keywords -- translation, pages on your website that are linked together that talk about the same subject. This now means that the “old school” method of keyword research has fallen by the wayside. The “old way” involved coming up with a long list of long tail keywords and creating individual blog posts targeted at those keywords. This resulted in a lot of content that lived in silos, never giving Google any indication that you showed significant thought leadership on an entire topic area, but only that you had a single website page focused on a very specific subject. The most common mistake we see being made with keyword research is to hold on to this old school method, when it is no longer bearing fruit. In today’s landscape, this simply isn’t enough to drive the same kind of results that it used to. Instead, we need to shift our thought process to clusters. On the forefront of this shift, is the notion of pillar content, which is the core of topic cluster -- and a subject IMPACT is intimately familiar with. 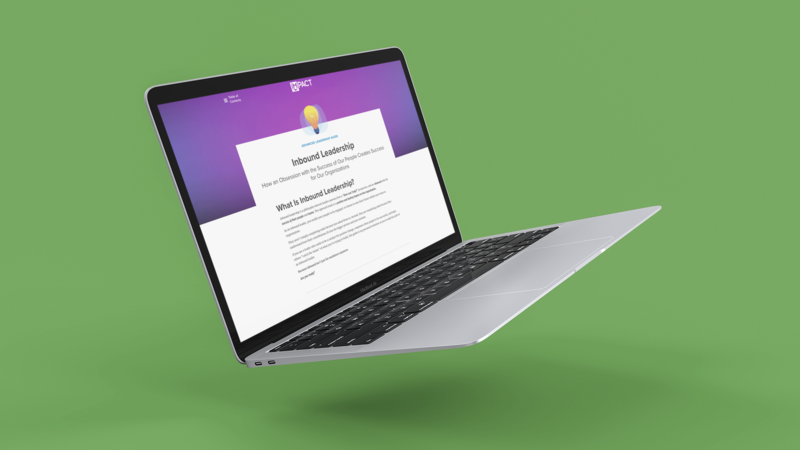 This very shift, and IMPACT’s efforts to continually improve on how we create and deliver pillar content for ourselves and for our clients, is what led to our shiny new method for keyword research and strategy development. The true inspiration for our revamped approach began as most ideas do -- completely by accident. Very is one of our clients. Never ones to back down from a challenge, Emily Maxie (their Director of Marketing) and the rest of the Very team were eager to tackle creating pillar content on their own to increase traffic across their website in three specific thought leadership areas. Since writing a single piece of pillar content can take some time, we opted to take a parallel approach to how we would bring these topic clusters together. In the first quarter, we went ahead and started producing all of the blog articles we would need to fill out those three topic clusters. That way, we'd be creating the foundation for the future launch of clusters, while also producing some super valuable content for their audience. We were expecting to see some sort of traction, but nothing prepared us for the exponential growth we saw. 73 keywords improved their position rank. 23 keywords achieved rankings where they had never had a ranking before. And finally, keywords included in the clusters climbed up by an average of eight rank positions. 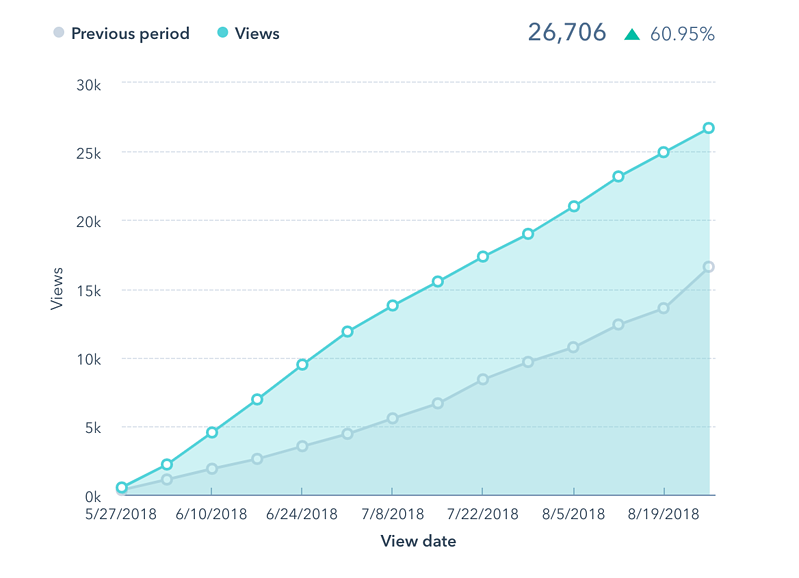 Here's what's crazy about these results -- we hadn't launched a single piece of pillar content yet, unifying those sub-topics in a single cluster. And thanks to our rigorous testing, we know these gains will only increase exponentially once those pillars are launched. Most importantly, however, seeing the data validate our new approach made one thing clear -- we needed to change the way we approached all keyword strategies. Based on our findings with Very, we’ve reimagined how we develop keyword research from the ground up, and the strategies we create for content and on-page SEO. Now, we center all of what we do around the cluster model. All of our keyword strategies are now designed in cluster form, resulting in content that supports our cluster ownership. Before diving into the rest of this guide, we recommend downloading our Keyword Strategy Template. 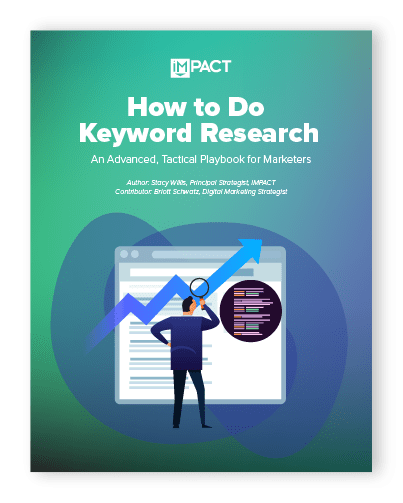 The instructions provided for the execution of your keyword research and strategy development reference this template, and it is chock full of valuable information to go hand-in-hand with this guide. So, now we get to the real question -- how can we begin to take this approach when conducting keyword research and generating a keyword-targeting strategy? First things first, it is important to understand that conducting research on keywords and formulating a strategy are two processes that are highly intertwined. While it may sound logical, we can't say we simply research first and build a strategy second. The two processes go hand-in-hand and feed each other as they progress, so this guide will talk through both processes simultaneously to help make sure you are getting the best results. What Is a Topic Cluster Keyword Strategy? Sometimes the best way to start a journey is to make sure you know what your destination is. It is pretty tough to hop in your car, turn on your GPS, and get any kind of directions without first knowing the address you want to ultimately reach. So, let’s make sure we set our GPS to the correct address before we start trying to follow directions. We have the best chance of improving results from quickly. An individual topic cluster is a collection of interlinked articles or pages around one umbrella topic. A topic cluster needs to include a main topic and at least eight smaller subtopics. Your overall topic cluster keyword strategy will build out and prioritize each of the clusters you should be targeting, help you determine what the correct strategy is to target each topic and subtopic, as well as determine which clusters you already have a good headstart on completing. All of your keywords should be grouped into clusters with related terms all combined into a single topic cluster. As you are embarking upon your keyword research journey, you may be wondering what to expect from the process. Well, let’s go ahead and break down the necessities! The tools you need to incorporate are those that can provide the information about keywords that you need to know in order to properly select what to target. You should expect to revisit your keyword strategy either once per quarter or twice a year, depending upon the speed at which you are able to create content and the volume of your website traffic. You should expect to spend at least a few hours running through initial keyword research, a couple hours to work with your content team to put together a strategy around those terms, and an additional couple hours to dive deeper into subtopic research after you’ve got your initial blog topic ideas. In between your quarterly revisits of the keyword strategy, you can expect to spend a little time here and there to add additional topics as they might occur to you. Bottom line, you not only need to set aside time to build your new strategy initially, you also need to make the time to revisit it, revise it, and improve it after you start implementing it. There are a couple of items you may want to make sure you have before you start the process. For the most part, if you are already knee-deep in your industry and know the lingo well, you’ll already have this part covered. Sales materials: How does your sales team talk about your product or services? Current website: What language are you using on your current website? Industry associations or publications: Industry association or publication websites within your industry space offer a wealth of information, and typically contain all of the most common and regularly used terms by the audience you want to reach. Competitors: We’ll dive more deeply into how to use your competitors to your advantage in later sections, but initially taking a look at your competitor’s websites and looking at how they phrase language around products, services, or pain points is another great place to get ideas. In fact, there are a lot of great ways to generate keywords for your strategy without keyword research tools. What Does the Keyword Research Process Look Like? During the first phase of the process, you will be working to generate ideas, learn what searchers are looking for, and determine how to structure your findings into a cluster strategy that will support increased attention from search engines. You will be focused almost completely on short-tail keywords. 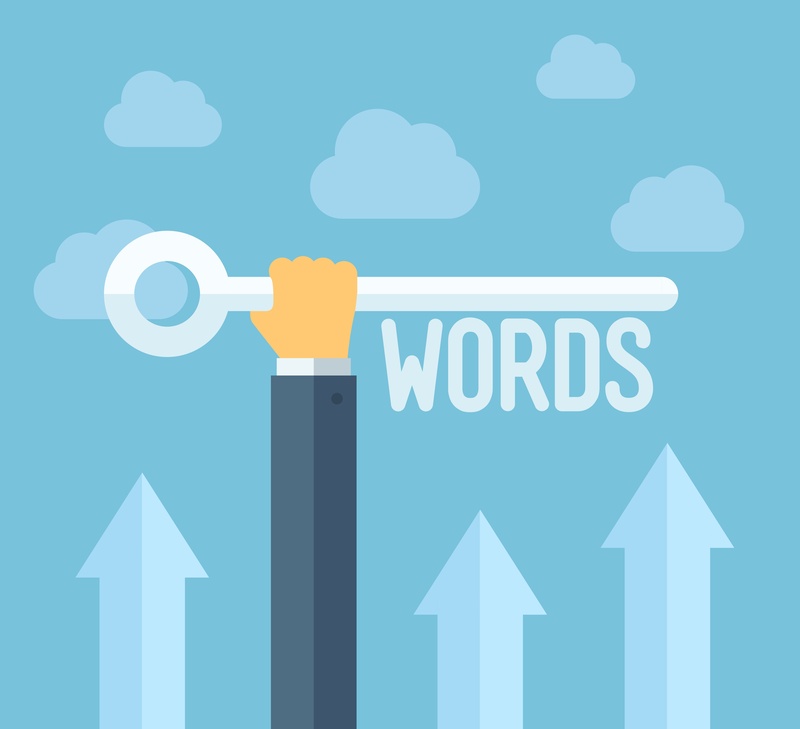 We know this is going to be a pretty big departure from the way you’ve probably approached keyword strategies in the past, but it is an important distinction. It is important to be able to formulate a plan that is truly based on data around the phrases people are actually using to search for what you can offer. That data is very hard to come by on long-tail keywords, not that they aren’t important -- Psst! See the next phase, they are still a part of our process! Focusing on short-tail keywords gives us the best foundation for jumping off and getting long-tail in later stages. 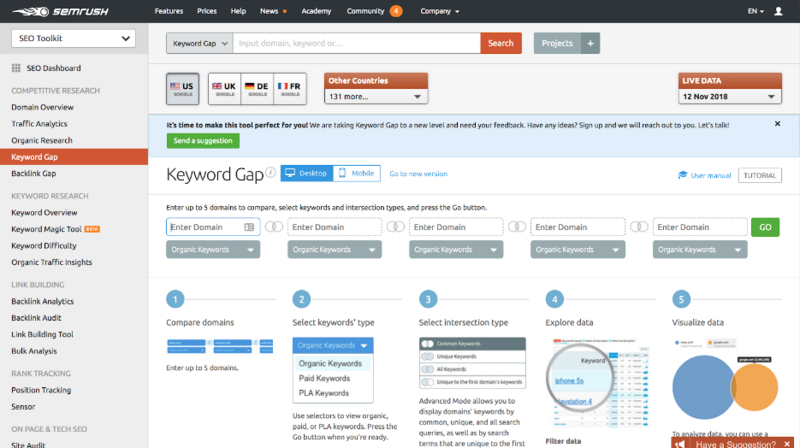 The Best Way to Do Keyword Research (Without Any Keyword Tools! Create a topic cluster keyword strategy. Now that we have a really great solid foundational strategy for our topic clusters, it’s time to get old school and bring in the long-tail terms. This part of the process is much more subjective, which is why we make sure phase one is based very firmly on data, to provide the right foundation for this phase. In this phase, we will be creating an actual plan for creating content based on the topic cluster strategy built in phase one. You may be asking why execution is included in a guide that is specifically about keyword research. Well, the answer is that there is still significant ways you can incorporate research into the execution phase of the process to make it more effective. So, because there is still research to be done, we wanted to make sure to provide every possible detail to you. Just like your GPS can’t create a route for you if it doesn’t know the destination, it will struggle just as mightily with creating a route if it is unable to understand what your starting point is. So, as your keyword research GPS system, that is where we recommend you start. You need to know exactly where you are starting from before you can build the strategy that will take you from point A to point B. It is time to review how your website is currently performing for organic search. There are a few things that you can look at to start generating ideas. 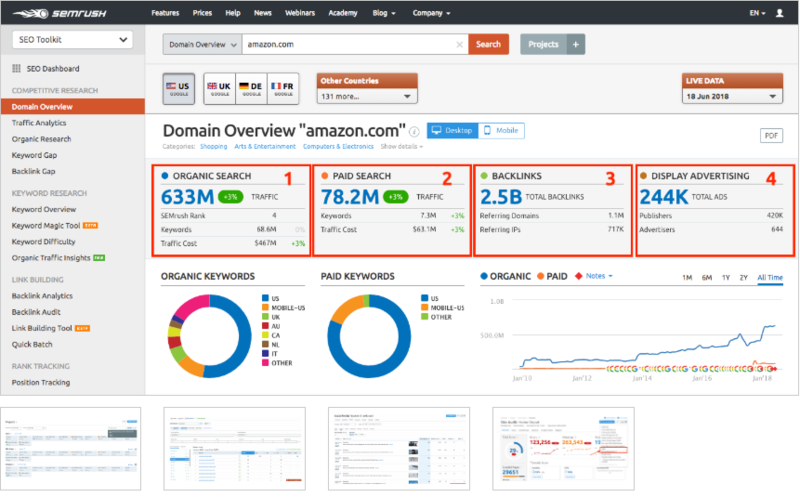 At IMPACT, we use a tool called SEMRush to take stock of how a website is performing on specific organic keywords. Using the Domain Analytics tool, you can take a look specifically at your organic traffic performance. The tool breaks down which keywords are driving the most traffic to your website, the pages users are landing on, and provides keyword analytic information like search volume and competition level. That drive low-quality traffic to your website. You are really going through this exercise more to understand where you are currently sitting and to catch any quick low-hanging fruit, from a keyword perspective. You may leave this stage without very many "Ah-ha!" moments except that you need to be driving more traffic so you have more to look at next time, or you may uncover some seriously hidden gems. Either way, it is impossible to improve without knowing where you're starting from. We recommend pulling this data into your Keyword Strategy Template, so it is easily accessible as you continue to work through your keyword research and strategy building process. Start by downloading the Keyword Strategy Template. This template has multiple tabs that you will use as you go through the process of building your keyword strategy. Go to SEMRush and select the Domain Overview tool. Input your domain. Once the results come in, look at the top "Organic Keywords" and select "View Full Report." Export at least the first 100 results to a CSV file. Keep the following columns from the CSV -- keyword, position, search volume, CPC, URL, traffic (%), and competition. Then copy the data in the "Current Domain" tab in the Keyword Strategy Template. Clear out the low performers -- e.g. those that bring in a low traffic percentage. You want to be looking at the keywords that generate about 80% of your current traffic. You can simply delete any rows below this threshold. You can find this point by highlighting the data in the traffic (%) column from the top down and looking at the sum in the bottom right-hand corner. Keep going until you’ve found approximately 80%. With higher traffic websites, you may want to limit yourself even further as there will be far too much data to review if you go all the way to 80%. In this case, we often stop looking once the traffic percentage drops below 0.05% from an individual keyword. Review how you are performing on branded keywords and see if there are opportunities to improve position of nonbranded keywords for quick wins. This exercise is mostly to understand how your domain is currently performing as you move to the next step. You may recognize things like a keyword with high search volume for which you rank in the top 20, which could be quickly improved, and keywords you didn’t know were driving traffic to your website that could be useful. You can highlight in green any keywords that you want to make sure you continue to rank for, or improve rank for. You can highlight in red any keywords that you want to get rid of -- keywords that bring in unqualified traffic. This is really just to help you quickly look back and reference. The best way to see how well you're doing, besides your customers’ satisfaction, is to perform competitive analysis. Much like when determining market fit, you first look to see who is offering what and how that compares to your product and/or service. Keyword research isn’t any different. Understanding where your competitors are ranking for important terms and phrases gives you a stronger view of your landscape, rather than simply looking at volume and the competitive density ranking provided by many SEO platforms. We can’t take credit for this easy-to-use spreadsheet, but we wholeheartedly recommend it. 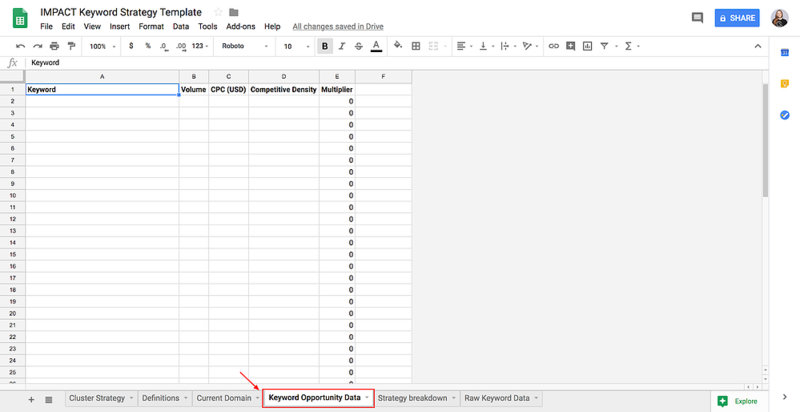 A simple Google Spreadsheet with cloning access already provided, Moz’ Gap Analysis sheet provides a way for you to see which keywords (and bonus: backlinks) you are ranking for vs. your competitor. We used this template to help Ambs Call Center increase their organic traffic by 100%, simply by understanding their competitive landscape. First, open a separate tab and clone this template and then follow Moz’s detailed instructions found in this article. Then, come back right here. Now, don’t worry about all the red you may see -- every single one of them is an opportunity. Begin reviewing this new information with the eye for finding search terms that you have little or no ranking for that are also very relevant to your audience. Keep in mind, relevancy to your audience is key. Simply wanting to rank for a keyword or search term that your competitor does just to take it from them won’t help your long-term SEO. Stay focused, find those gems. As you begin to gather the right terms, hide the ones that are not relevant. You’re now curating a very solid list of terms that should be considered in your larger SEO strategy. If you have a SEMRush account, they’ve automated the entire above process, making this even easier to do. Navigate to the "Competitive Research" sidebar and select "Keyword Gap." Input your domain and up to four of your competitors. The resulting data will tell the same story as the Moz example, but it won’t be color coded. We suggest using the visualization tool to organize the keywords visually highlighting where there is (or isn't) overlap. An opportunity to uncover search terms that you would have never found through traditional keyword research. Now, just because you found key terms in your research, doesn’t mean that they should sit at the top of your strategy. The terms found during this exercise should be adding to your additional terms and prioritized with the rest! 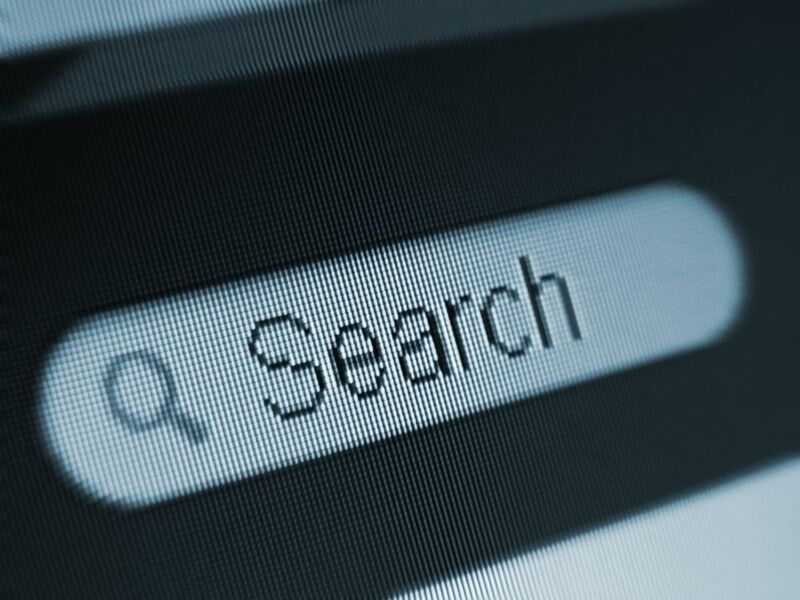 What Are Searchers Really Searching For? Now is where the fun really starts -- it’s time to look for keyword opportunities! The keyword research you do in this part of the process will set the stage for your success overall. It is the most vital step in the process. It is somewhat like a cross between being an explorer -- searching for those hidden gems -- and a scientist, rooting your decisions in solid fact and data. OK, that might not sound like as much fun as it did in my head. But, I promise, it is still fun! Relevance: How relevant is the keyword to your business, products, or services? Will the keyword drive qualified traffic to your website? Search volume: How many people are searching for the keyword on a monthly basis? Competition: This is a measure of keyword difficulty. How many other websites are trying to drive traffic from the same keyword? Each of these factors is incredibly important in driving measurable success from your website. Relevance helps to ensure we are driving the kind of traffic we want. If you focus on a keyword that drives you a ton of traffic but none of those people are the right fit for what you do, it isn’t very useful. Making sure all of the terms selected are highly relevant to your business is job number one when looking for keyword ideas. Search volume and competition both help us understand how valuable the keyword is as a driver for traffic. Higher search volumes mean more chances to drive traffic and lower levels of competition mean we will have an easier road to ranking higher, thus driving more traffic. Existing performance of a keyword is also very important. It is much easier to take a keyword you sit around rank 12 for and move it up to 4 than it is to take a keyword that you don’t rank for at all and move it to that same place. Looking at this factor allows us to take advantage of wins we’ve already gained on our website and make them more impactful. Using these four factors as we research which keywords are the best fit for our website helps to ensure we are making the most of what we already have, using terms that fit with the way your audience is searching, and ultimately provide the most value with our content. Some of the most common keyword research mistakes is simply failing to take these four factors into account with the keywords being chosen. Often we will see people chase keywords that aren’t relevant to their business only to drive vanity traffic numbers that provide no real value in the visits they bring. Ignoring keyword difficulty is another common mistake we see. Failing to make sure you are using phrases and terms that have a good crossover between high search volume and low competition means you’ll struggle to get much in the way of results from your efforts. And lastly, forgetting to look at current keyword performance means we see many people miss opportunities for low hanging fruit that they could generate significant results from quickly. Now we get into the nitty-gritty details of how to look for the best keyword opportunities for you! First thing’s first, if you haven’t downloaded the Keyword Strategy Template yet, make sure you go get it! Go to the Keyword Magic tool in SEMRush. Start inputting common phrases that you use to describe what you do, your products or your services. Typically, you can start by going through your website and looking for common phrases or reviewing your personas -- if you have them -- to look for words or phrases that fit pain points. Pull keywords that look to have decent search volume and are relevant into the keyword analyzer. You can also use a tool like Keywords Everywhere to test out searches in Google and see other related phrases that you might like to throw into the Keyword Magic Tool. Liz Murphy, our Director of Web and Interactive Content, loves Keywords Everywhere for this kind of validation. But one word of caution -- you need to change the keyword analysis settings from global to the United States only, if you're not looking to evaluate international search volume against a term. If you're solely focused on attracting a U.S.-based audience, and you skip this step, you'll end up with data that may be overinflated due to higher popularity of a search term abroad than stateside. Once you’ve tried all of the keywords you can think of, go to the Keyword Analyzer. You can now download an excel file with all of the keywords you saved. You should try to have at least 30 keywords pulled into the analyzer before pulling the download. Keep the following columns from the CSV report -- keyword, volume, CPC, and competitive density. 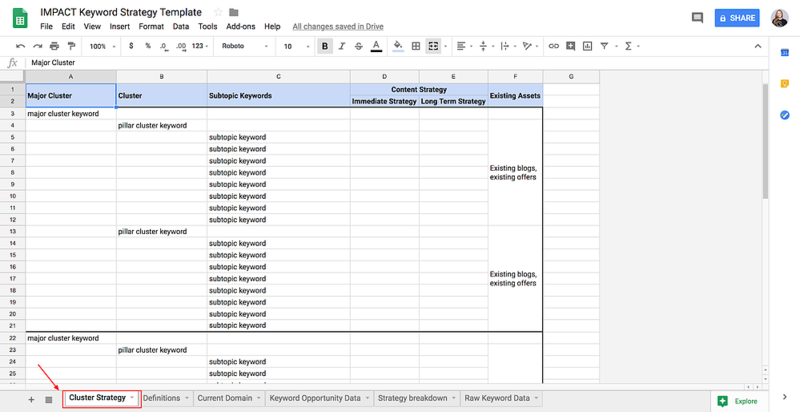 Then, copy the data into the "Raw Keyword Data" tab of the Keyword Strategy Template. Now, you can check out related keywords to any of those in the Keyword Analyzer to see if there are more things you didn’t think of. If you click on a keyword from the Keyword Analyzer, it will open up a page with that specific keyword’s data and you can look at the “Related Keywords” section to see what other related terms are. You may or may not find anything more than what you’ve already found in the Keyword Magic tool. As you're looking, make note if you see significant numbers of searches with a location added -- like “security systems los angeles” or a lot of “near me” searches -- as this will signal to you that localization is very common for searchers around this subject. Now that we’ve gathered a ton of information on potential keywords, it is time to rank our options to select the best possible keywords for us to target. Luckily -- once more with feeling! -- our Keyword Strategy Template makes this process a breeze for you. So, next, in the “Raw Keyword Data” tab of the Keyword Strategy Template, there is a column for “Multiplier” that is pre-filled with a formula to help you identify the best combination between high search volume and low competition. Essentially, you are looking for the cross between the best search volume and lowest competitive density to highlight the easiest keyword opportunities to rank for. For reference, the formula is VOLUME*(1.1 - COMPETITIVE_DENSITY). Once you've finished adding all of your keyword tests, you'll sort the sheet from the highest multiplier to lowest. Go through and remove duplicate rows or keywords that don’t really mean a lot to you or your business. You can keep going through until you’ve cleaned up about 60ish rows. Congratulations! You now have a prioritized list of the best keywords to target from your list of potentials! Now that you have a fresh list of keywords that are good candidates for use, it is time to take those individual keywords and build them out into topic clusters to make the best use of them! The first step in this process is taking a look at the search volume for each keyword you’ve identified and determining what kind of strategy lends itself best to helping rank for that keyword. Uber pillar: An uber pillar -- a term we coined here at IMPACT -- is a resources page listing that displays (and links to) content on a particular topic and includes at least one piece of pillar content in the listing. The keywords that live in this category are typically short-tail keywords that attract tens -- if not hundreds -- of thousands of searches per month. For instance, "inbound marketing" or "search engine optimization." Here's an example of one we have for web design. Pillar page: A pillar page is a piece of premium content that lives all on-page. They can range anywhere from 3,000 words to 16,000+, depending on the subject matter and how much you have to cover. It is aimed at a large search-volume keyword topic and a linking strategy between that main topic and at least eight and 22 subtopic pages. What you're reading right now is a piece of pillar content, but here's another one we created on HubSpot Marketing. Resource pillar: A resource pillar is a resources page listing that displays (and links to) content on a particular topic. This is distinctly different than a blog category listing page. This is a great strategy to employ if you already have a ton of content around a particular topic area but don’t have a full pillar page built yet. It can be a great first step that can be executed right away, and then you can eventually add a pillar page to the strategy and turn your Resource Pillar right into an Uber Pillar. Blog series: A blog series is a collection of at least two blogs that target the same short-tail keyword. The structure of the title should be: "[Keyword]: [Blog Topic]"
Longform blog: A longform blog is a blog post that is at least 1,000 -- more commonly 1,500, words long. 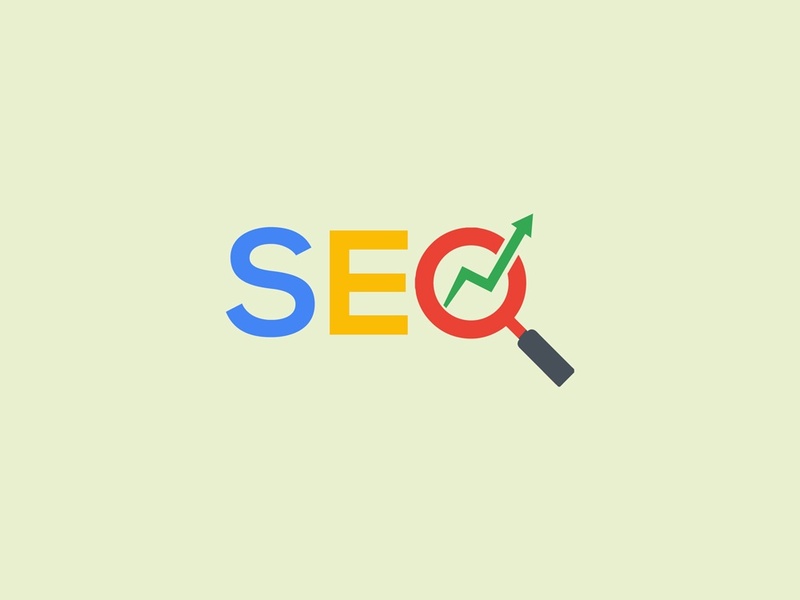 In addition to using the content-specific strategies above, you can also try to SEO optimize a page on your website (like a service or product page) for a specific keyword as well. So, with all of those options, how do you know which is the right one for the keyword you are looking at? Uber Pillar: Bare minimum, 8,000+ monthly searches -- or higher, as we suggested above. Pillar Page or Resource Pillar: This is a wide range, you'll have to use your judgement, but you're targeting between 300 and 8,000 monthly searches. Blog Series: Somewhere between 150 and 300 monthly searches. Longform Blog: Fewer than 150 monthly searches. Now, all you have to do is go through all your keywords, check their search volume and assign the right strategy. Sounds tedious and time-consuming, right? Well, again, our Keyword Strategy template does most of this work for you. First, take the top 60 keywords out of the “Raw Keyword Data” tab and move them into the “Keyword Opportunity Data” tab along with all of the columns except multiplier. You will now go through the “Strategy Breakdown” tab and start to determine if you have any existing content that could be used in that area to highlight opportunities where you already have a lot of content to work with. If you have content that has been recognized as an uber pillar, pillar page, or resource pillar, fill in any information in the “Existing Content” column about the number of blog posts or existing gated offers you have that could be included or optimized to fit the cluster. As you work your way down the sheet, you’ll also start to work your way down the “Immediate Strategy” and “Eventual Strategy” columns and put in notes about what you’d like to do around that keyword. This is also where you can start to group like terms together by including a notes that say something like “Include in Topic A cluster” if it is a very similar or related term -- “marketing agency” and “top marketing agencies” may both be candidates for a pillar, but they are so highly related you can combine them into a single topic cluster if desired. Now that you’ve made all your notes in the Keyword Strategy Template, it is time to start the real fun -- creating your finalized topic cluster keyword strategy. This part is where you get to be creative and really make sense of all the raw data you’ve been looking at over the past few stages of keyword research. You turn all of those numbers and bits of information into a big picture strategy that sets the stage for all of your content production. Once you’ve worked your way down the “Strategy Breakdown” sheet and started to see some patterns, you’ll start building your clusters out just in your notes on the “Immediate Strategy” and “Eventual Strategy” columns. Your finalized cluster strategy will live in the “Cluster Strategy” tab and will be the final step in our short-tail keyword research process. You'll pull the keywords into the correct placeholder slots based on the strategy for execution. You should also fill in the“Immediate” and“Long Term” strategy columns for the things you will be addressing right away vs. things that can wait or be tackled long-term. Anything you’d like to build as an uber pillar will live as a “Major Cluster.” Keep in mind that anything you create as an uber pillar should also have a regular pillar or resource pillar using the same keyword below it in the “Cluster” area. Anything you’d like to build into a pillar or resource pillar would live as a “Cluster.” As you are working to group items, you may take something that could have been an uber pillar by search volume and downgrade it to a Pillar or Resource Pillar if you’ve already selected a more attractive related keyword to use as the uber pillar. Anything you’d like to build out a subtopic within a pillar would live as a “Subtopic Keyword.” As you are working to group items, you may take something that could have been a pillar by search volume and downgrade it to a blog series if you’ve already selected a more attractive related keyword to use as the pillar. Next, you’ll fill in any information about what your planned content strategy is for the short- and long-term. This is where you’d put information about the selected strategy -- from the five strategies section above -- and when you want to tackle it. Lastly, make sure you enter any information about the number of existing assets you can use as part of the cluster in the “Existing Assets” column. This column is very important, as this should be one of the primary ways you prioritize your efforts. The more content you already have to support a cluster, the faster it will be to get off the ground, and thus higher priority. Once you’ve moved through all the keywords in the “Strategy Breakdown” tab and started forming them into clusters, you’ve gotten through about 90% of the effort! You’ll notice that there is space for eight subtopic keywords for each cluster in the sample template. There is a very specific reason for this. Ideally, for each cluster you want between eight and 22 subtopic pages linked. If you build out eight subtopic keywords and some of those keywords merit a Blog Series as your strategy, then you’ll fall right in the sweet spot range between eight and 22 subtopic pages! If you finish your cluster strategy and don’t have all eight subtopic keyword slots filled for a cluster, you can use head back on over to SEMRush or Keywords Everywhere and look up your top-level cluster keyword and find some other related keywords to include that have decent search volume. Now that we’ve built out our short-tail keyword strategy, it’s time to take the next step to determine how we build an content marketing execution plan around those keywords with long-tail keyword research! Using your topic cluster keyword strategy you created in the previous step, you can start to build out a full editorial calendar for new content and execution timeline for updating existing content. As you build out this plan, you’ll start to take your foundation of short-tail keyword research and build a long-tail strategy around it. Your execution strategy will fall into two categories -- historical optimization of existing content and the creation of new content. For clusters where you have existing content that you can leverage, start by setting your strategy around how you can immediately get the most value: historically optimizing content. If you have more than 10 pieces of content within a cluster, counting both blogs and premium content, you can immediately set up a Resource Pillar with very little effort. Simply create a keyword focused resources listing page that links to all blogs and premium content within the topic area, and make sure that all those pieces of content link back to the resources listing. Anywhere you have existing blogs that fit within a topic area, you can look to SEO optimize those posts for one of the keywords in your cluster. Historical optimization of blog posts already published is a strategy perfect those who have been creating content for a long time. Here's the thing about great content, though -- try as we might to make our blogs as evergreen as possible, things change. 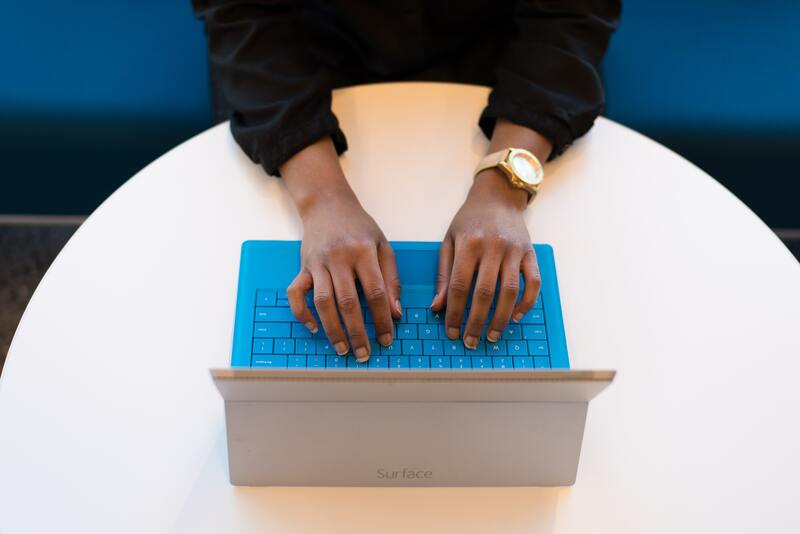 So, you'll want to audit all of the blogs you've published to identify candidates for historical optimization, if they align with the keywords you've identified in your subtopic strategy. The more pieces of content that fall into this bucket you include in your pillar content strategy, the faster you'll get up and running, generating killer results. And, finally, add in Latent Semantic Index (LSI) keyword variants of the primary keyword in the text of your blog, as appropriate. At this stage, you can also look to make the most of the existing premium content assets you have. If you have thorough longform content (like an eBook or whitepaper), it may be a great candidate to use as the seed for a full-scale pillar page. Or, you can simply to move the entire offer on-page directly, and keyword optimize it for the cluster keyword -- the same way as described for the blog optimization above. Then, you link with the correct existing blogs, and launch! Tools, calculators, and templates make great companion pieces for pillar pages. If you have plenty of items like that which fit into your topic cluster, they will provide an additional opportunity for conversion, but likely won’t contribute much to overall traffic. They are still quite valuable to include in your linking strategy. For those keywords and clusters where you don’t have any existing content that can be repurposed, the next step is to build out an editorial calendar for both blog content and pillar pages to plan the creation of those items. Your content marketing editorial calendar should include anything you’ve noted in the “Immediate Strategy” and/or “Long Term Strategy” column of your topic cluster keyword strategy sheet in the Keyword Strategy Template. Your blog editorial calendar should specify content target keywords, which cluster the article belongs to, which content needs to be linked within the article, and the working title of the blog. There should be multiple listings in your editorial calendar for keywords which lend themselves to a blog series. So now how do we pick blog topics and titles from our short-tail target keywords? There are a couple ways to do this. 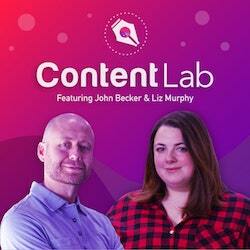 The best option will depend on how your organization generates content. If the marketing department is responsible for creating all content, you may just do this on your own. If other members of your organization like the sales team, delivery team or product team contribute content on a regular basis, it makes the most sense to include them in the brainstorming process. You can include your sales and delivery or product support teams in the process and ask them for any “They Ask, You Answer” style topics that might fit with the identified keyword. If you are generating topic ideas on your own, make sure to grab ideas from the “Big 5,” or utilize a tool like Answer the Public to see what searchers are looking for. We also have a massive list of 68 blogging prompts that can help you get the juices flowing, if you find yourself in a rut. Just make sure you’ve prioritized the creation of these new blogs in your editorial calendar sooner rather than later. The sooner you can get them launched and linked up with the pillar page, the faster you’ll start seeing results. 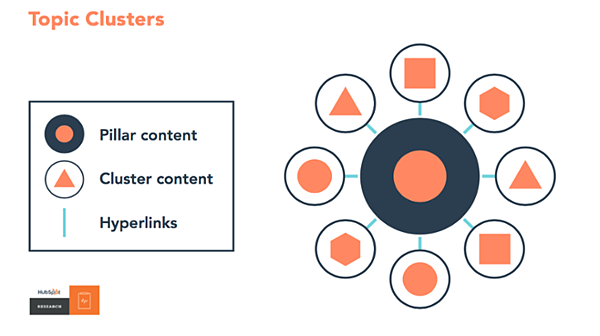 The most important part of launching your topic cluster keyword strategy, and the most often overlooked step, is building the links between your related content. This is the backbone of your efforts, and the only way search engines will really be able to understand what you have to offer. This is one of the most common mistakes we see content marketers make, so pay attention to this step! Otherwise, you run the risk of undermining all the work you've put in so far. Every blog or page that is built to target one of the subtopic keywords in a cluster needs to link directly to the pillar page, resource pillar and/or uber pillar it is a part of. And when you launch a pillar page, you’ll need to make sure each of your subtopic blogs is linked somewhere in the text of the pillar. By their nature, as resource listings, both Resource Pillars and Uber Pillars will already link to all of the subtopics required. Most of the time, you’ll be launching the pieces of your strategy over time rather than all at once, so you’ll need to make sure you are regularly updating links across your entire cluster as you launch individual pieces of it. Many people use this as a reason to “wait to launch” until everything is ready. While a cluster is most valuable once the entire thing is built, it will still provide you results (and begin to get indexed and recognized by Google) as you are building it. So, we highly recommend you launch each item as it is ready rather than waiting until the entire cluster has been built. You might as well be getting something out of the items you’ve already finished rather than leaving them in unpublished and providing zero value. The final step in your keyword research process is to set yourself up to easily and accurately measure your results. This will ensure you have the best information at hand when it comes time to check in on your strategy and conduct your next round of keyword research in three to six months. You’ll want to start by setting up analytics on all of the items in your cluster separately from the rest of your website traffic, so you can measure the performance of your cluster on its own. 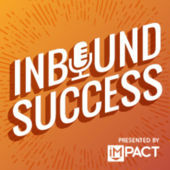 The easiest way to do this in HubSpot Marketing Hub, is to make sure your cluster is built out in the SEO tool in HubSpot -- which was once called the Content Strategy tool. Here you can segment and just see metrics for pages that are grouped within the cluster. You’ll want to look for traffic growth to the cluster as a whole and keep track of your overall conversion rate across the cluster. Example dashboard -- all traffic shown is organic. If you aren’t on HubSpot, you can use Google Tag Manager to create a tag specific to your cluster and include all of the pages that are part of the cluster. Another good thing to keep an eye on is the conversion rate of your pillar page. This is just basic good practice for any landing page. The benchmark conversion rate on landing pages is to be above 20%. What's fascinating is that, with our own pillars, we see conversion rates at or above 20% for virtually all of them, even though all of the content is completely ungated. 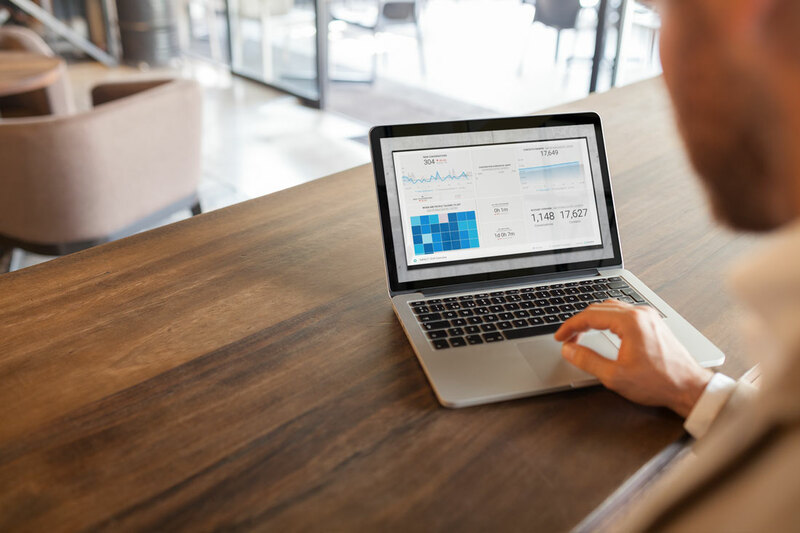 Ideally, your goal should just be to continually make improvements to your pillar page to gradually increase and improve its conversion performance over time. Finally, it is important to keep an eye on your overall website traffic rate. Here, you're looking for your pillar strategy to help you generate more traffic to your website as a whole, so it makes sense to look at that metric. As you implement more and more pillar and sub-topic clusters, you should see your organic website traffic as a whole climbing. You should plan to revisit your keyword research and strategy around every six months. Repeating this process at six-month intervals will help ensure that you catch any changes in searcher habits, stay on top of any industry changes that you should be addressing, and keep your content timely. That should also be enough time to execute completely on at least a couple of your clusters and have some data to look back over to determine their initial success levels. To make this happen, you’ll need to be publishing blogs quite frequently (we’d recommend at least two times per week) and at least a few pillar pages over the course of the six month period. When repeating the full keyword research process, you should also review the metrics of all launched clusters and look for opportunities for improvement. This chapter is meant for those of you that are looking to attract very specific geo-targeted or localized traffic to your website. This is especially important for brick-and-mortar businesses who can only serve a specific geographic area and thus want to focus on generating only traffic that lives within that area. There are a couple of different ways you can weave local SEO principles into the keyword research process to ensure you are targeting the right kind of traffic. During the phase where you are gathering keyword ideas and looking at search volume, you should test out localized variations of all of your keywords. For instance, if your general keyword is “marketing agency,” it might make sense to test out “marketing agency [city]” or “marketing agency [state]” localized searches. Also, be on the lookout for any “near me” style searches in your results during the idea generation phase. If you are seeing a significant number of “near me” searches show up as you are looking at related keywords, then make note of that. Look to weave localization into some, but not all, of your subtopic blogs in order to really show Google you are a local expert. Another strategy you can employ is to create geo-targeted landing pages. These pages are meant to be found by local search or “near me” style searches. We would recommend creating a single geo-targeted landing page template in your website CMS and then creating variations of the page for different locations and key search phrases. This strategy would involve two parts -- building the page template and building the keyword strategy to use on the pages. Your geo-targeted landing page should act as a “local” homepage for the desired localized keyword you are going after -- such as a city, neighborhood, or state. You should include very similar information as you would on your website homepage as this would be the first exposure someone might have to your brand. Base keywords: These are the keywords with the best combination of search volume and competition level which searchers are using to describe your product or service offerings, and should come directly out of your topic cluster keyword strategy. Localized keywords: These are the location-based keywords that fit with local areas that your business serves. These typically come in the form of state names and then specific city names. Occasionally, if your business is highly specific to a small local area, you may even include neighborhood names in your strategy. The approach would be to create geo-targeted pages for each combination of the base keyword with state localizations first. Then move next to city or region localizations. This strategy will definitely be something that is tackled over time. You should prioritize the combination of locations that are closer to your headquarters and base keywords that relate to highest revenue services first. Include code for name, address, and phone number schema that matches with selected localization keyword. Instructions on this can be found here. I know, I've outlined a lot of homework for you in this guide, but trust me -- keyword research doesn’t have to be daunting. Once you have a solid understanding of how to view your keyword strategy through a lens of topic clusters, rather than a list of individual unconnected keywords, the rest becomes simple. As you dive in and approach your research, make sure to balance the creative and data driven sides of the process to take a hybrid approach. There will be times where you may create content around a keyword that doesn’t have much search volume yet. For example, if you know of a sudden industry change coming -- and you want to create content to get ahead of it before people are starting to search for it -- and there will be times that keyword data opens your eyes to keywords you had never considered. In all cases, make sure your primary goal is to provide as much value as you can with the content that results from your research and planning. Search engines always reward value first, so you can never go wrong by giving as much of it as possible! Take the Guesswork Out of Your Keyword Strategies!